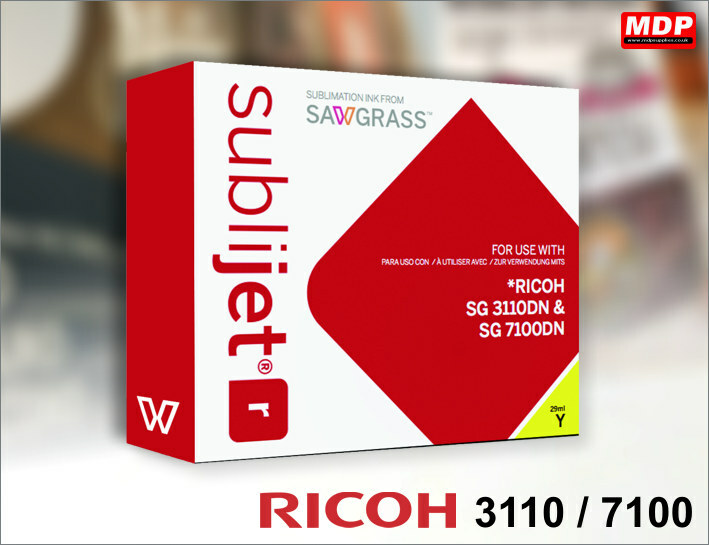 Subli-Jet R dye sublimation ink cartridges for the Ricoh 3110 (A4) and 7100 (A3) printers. Manufactured by Sawgrass. All dye sub ink has a shelf life of 6 months due to the chemical structure of the ink so please bear that in mind if ordering in bulk. Price for 1 - 2 £55.88 ea. Price for 3 - 4 £55.38 ea. Price for 5+ £54.88 ea. Price for 1 - 2 £40.13 ea. Price for 3 - 4 £39.63 ea. Price for 5+ £39.13 ea. Price for 1 - 2 £62.95 ea. Price for 3 - 4 £62.45 ea. 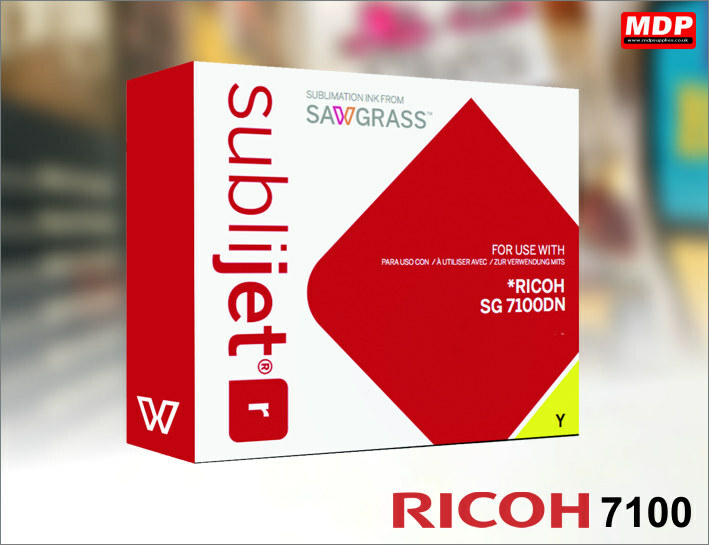 Price for 5+ £61.95 ea.